I've always been a fan of BIG art for children. What is BIG art? Well I think for it to qualify as BIG art it has to be fun, large scale (big obviously), is usually collaborative and gets kids moving while making. BIG art is also great for mixed age groups working together with the emphasis on the process rather than the eventual product making these invitations ideal for home or school settings. We've tried many different BIG art projects over the past few years and have rounded them up in this one post. BIG art doesn't necessarily mean BIG mess. 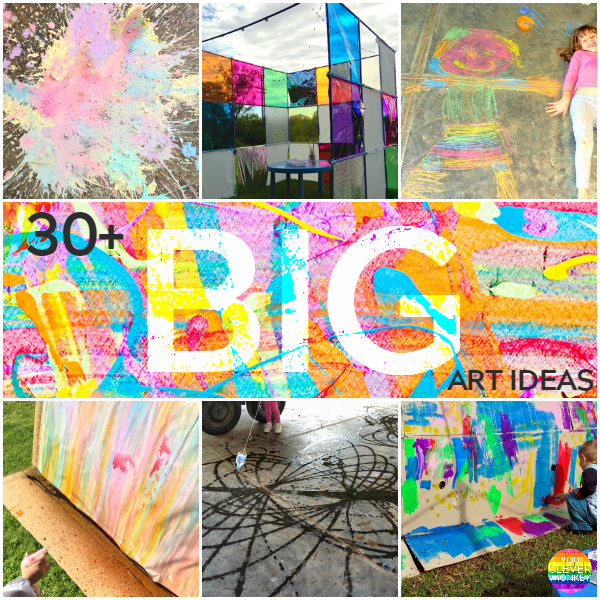 With some planning, BIG art can just equal fun! Big pieces of cardboard have provide a cheap canvas for many activities like this giant collage we did for playgroup one day. 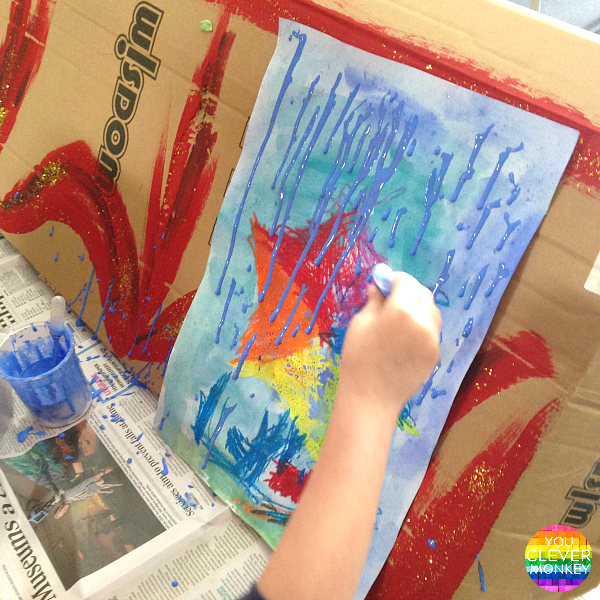 Cheap and simple to set up, the children all had enough space to create their own part of the artwork. I had roughly rolled a background onto a salvaged fridge box then setup a table with different bit and pieces for the children to choose from along with some glue and textas. 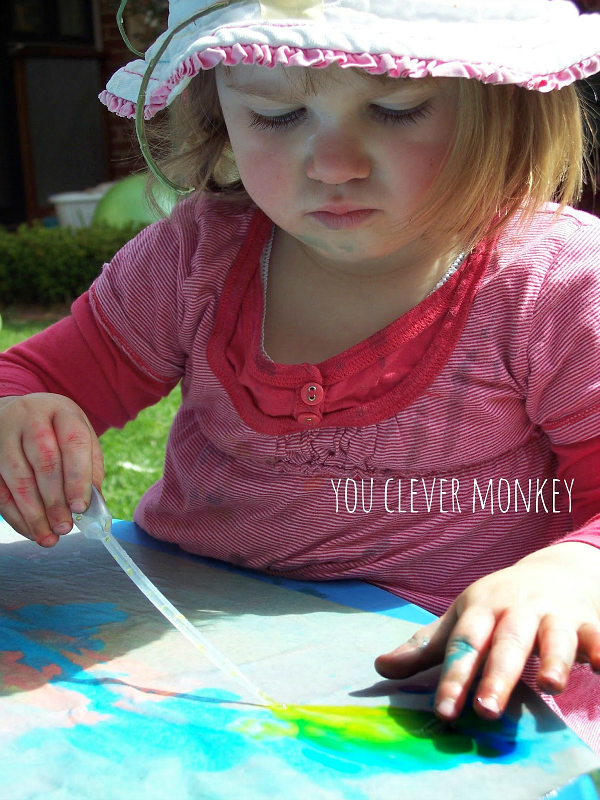 Working outside can be an easy way to deal with any possible mess and can make it easy for every child to have a go. We used this big piece of white cardboard for some splat painting outside using different kitchen utensils. 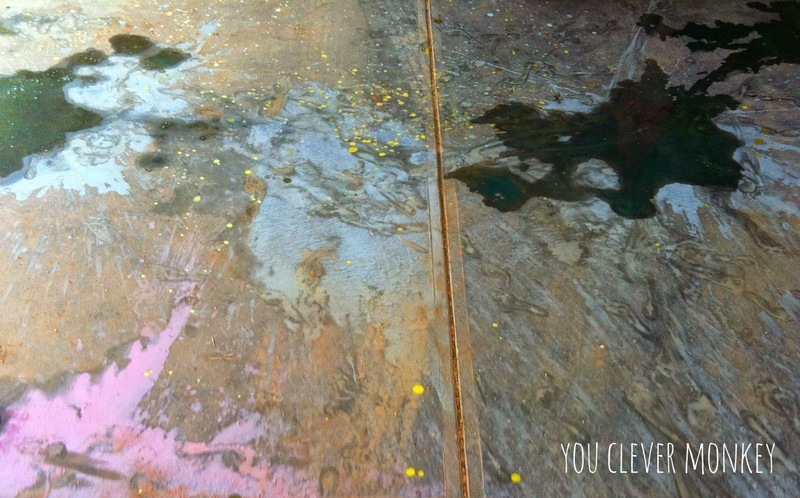 A Crafty LIVing shows us just how much fun splat painting can be with the right tool. 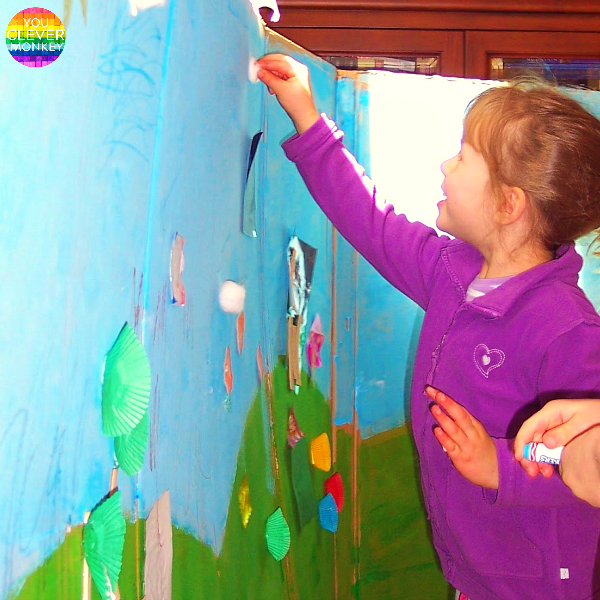 Create a wall of cardboard to allow children to experiment with different art equipment. Here a box became a long wall for some experimenting with different rollers and brushes. Another day, another big cardboard box became the canvas for some spray painting with our recycled paint. You can find our simple paint recipe here. 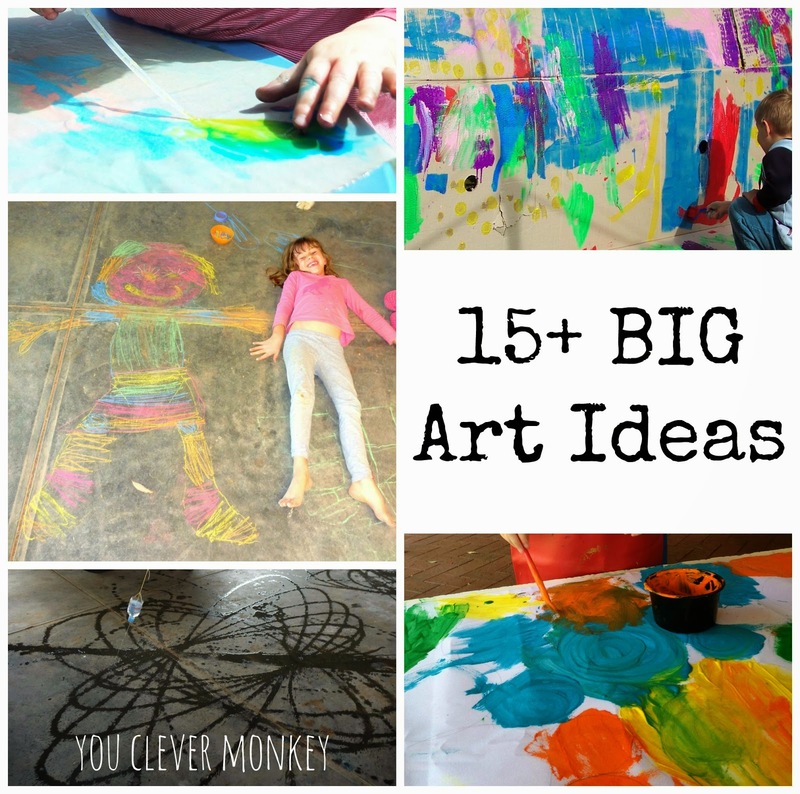 You can already see that creating big art with your children doesn't have to be hard. It can be as simple as just taking what you do outside like we did with this roll of paper from IKEA one day. Or just changing the position of your canvas and upsizing it can invite play. 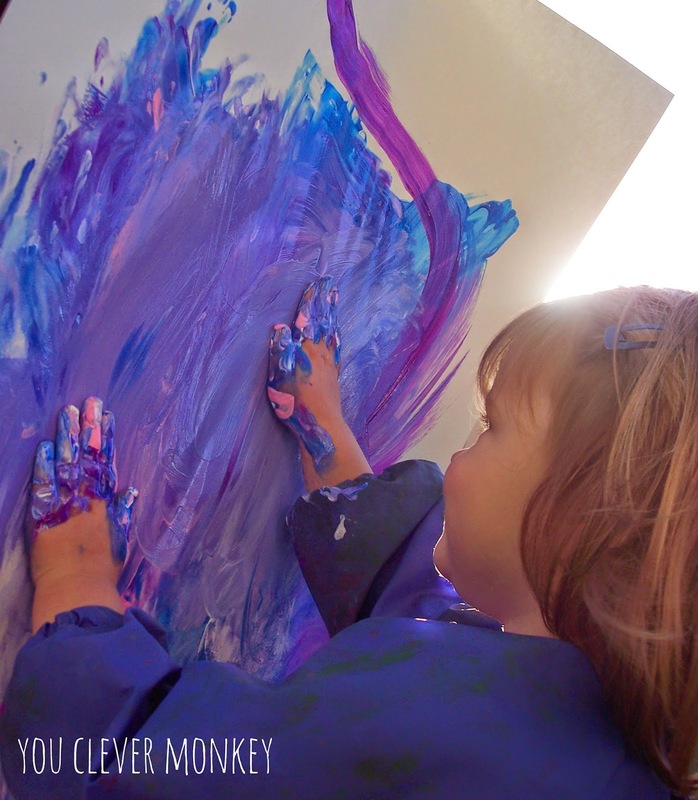 Use your easel for finger painting, use a giant cardboard box for collaborative marble painting or place large pieces of paper down a slippery dip for drawing like Tinkerlab. 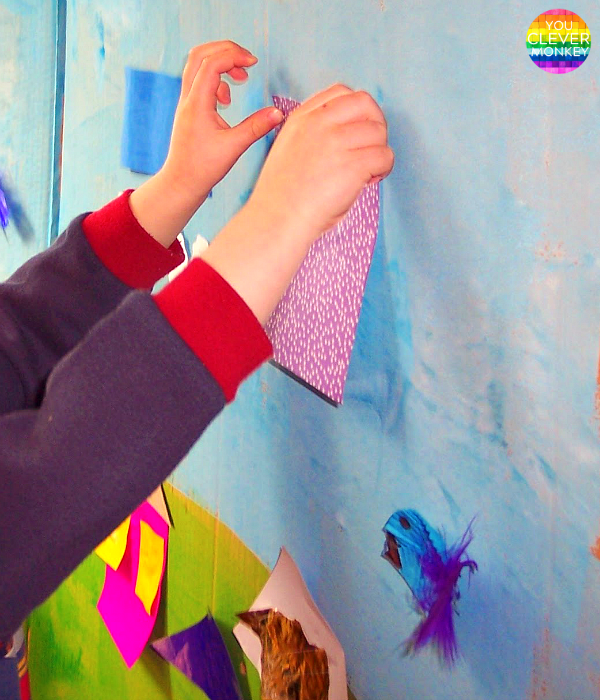 Freckle Photo shows us how beautifully paper can be used to create BIG collaborative art work. 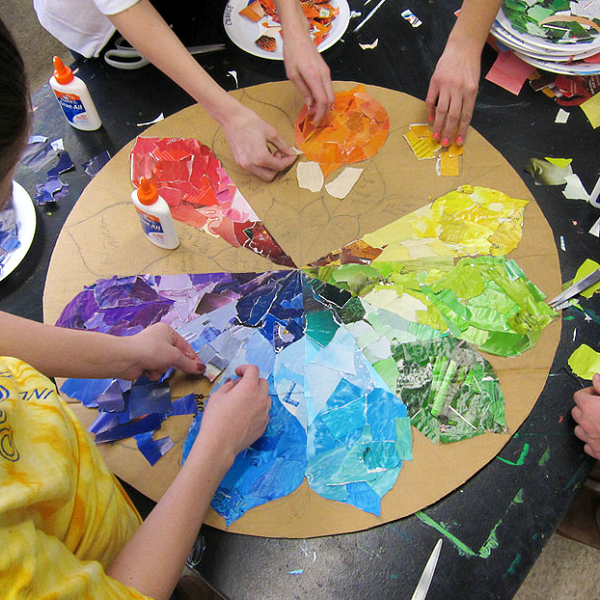 Ideal for older students, this art project it a great one for building sustainable practice and recycling. Look around your house or school for inspiration! 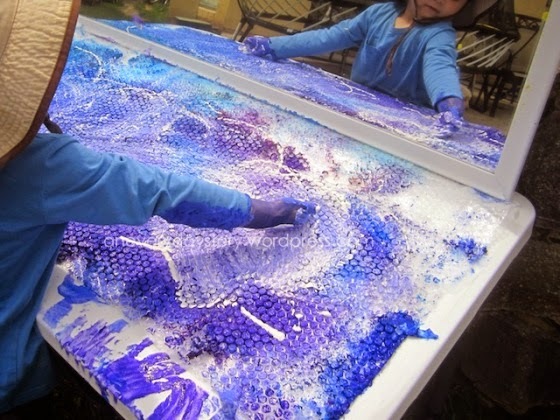 Finger painting on glass provides young children with such a different sensory experience than just painting on paper or cardboard. 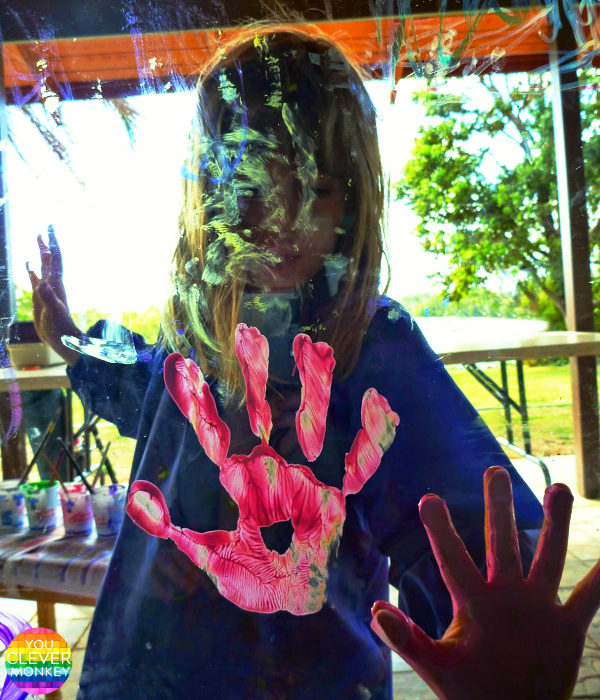 We did some finger painting on one of our house windows one day and then the kids were equally busy washing it off the next. 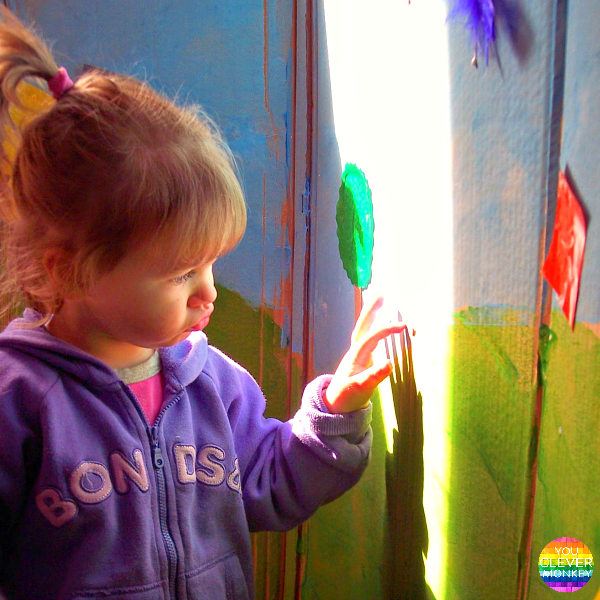 Or if you're very brave, check out hello, Wonderful's squeegee art and try the same on your windows outside! We've also tried this pretend stained glass art like Filth Wizardry on our windows at home. If you're lucky enough to have a big carport like us, it's provides the perfect canvas for so many different art invitations! 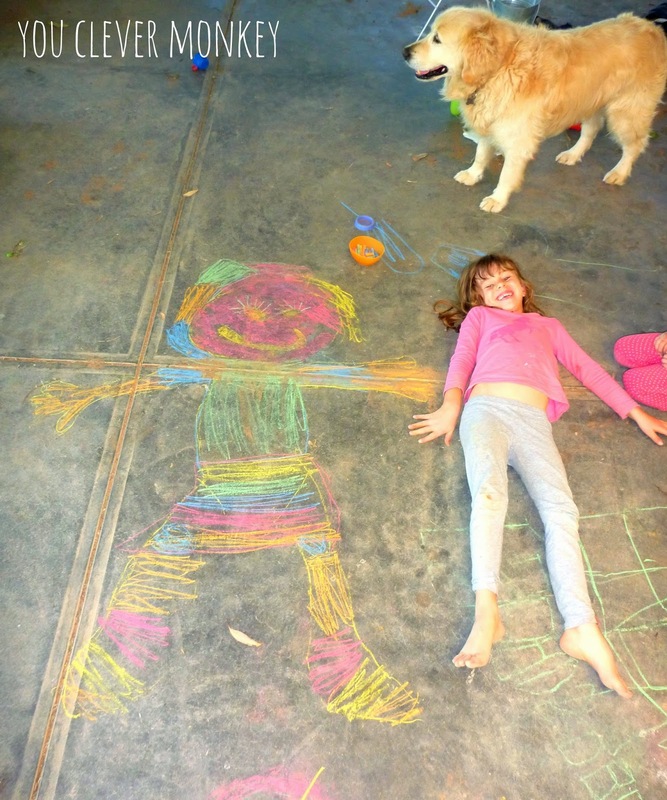 Every child should have their body traced around to colour in! Whole body art for preschoolers. Try some pendulum painting with water on a hot day. 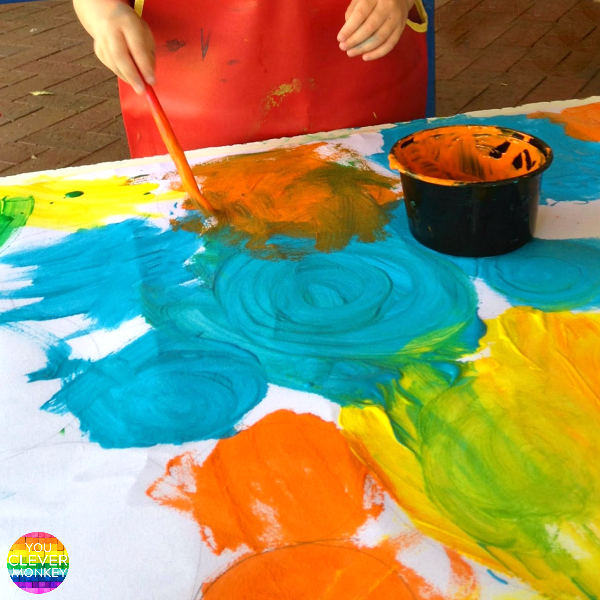 So much fun to see the different patterns appear and then disappear in the heat and much more sustainable than using paint! Or perhaps try some messy balloon painting! 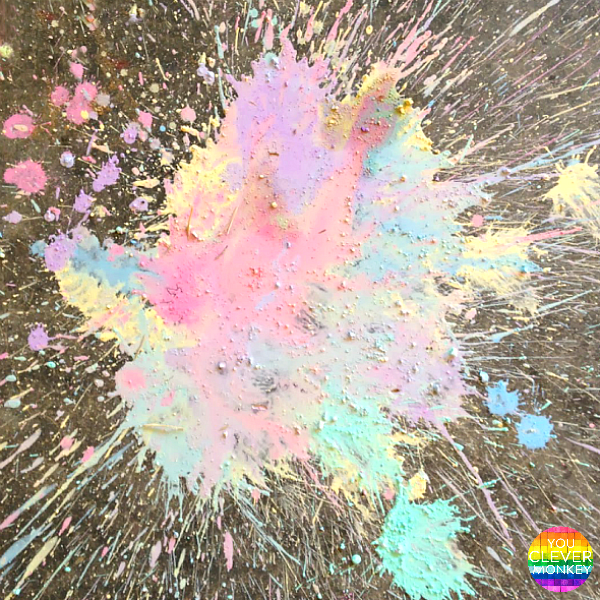 We added a small amount of homemade paint to some water balloons and had lots of fun throwing them around our carport outside. You can find our paint recipe which just washes away afterwards with water here. You can create the same effect with chalk paint - ideal for learning how new colours are made. You can find our simple chalk paint recipe here. 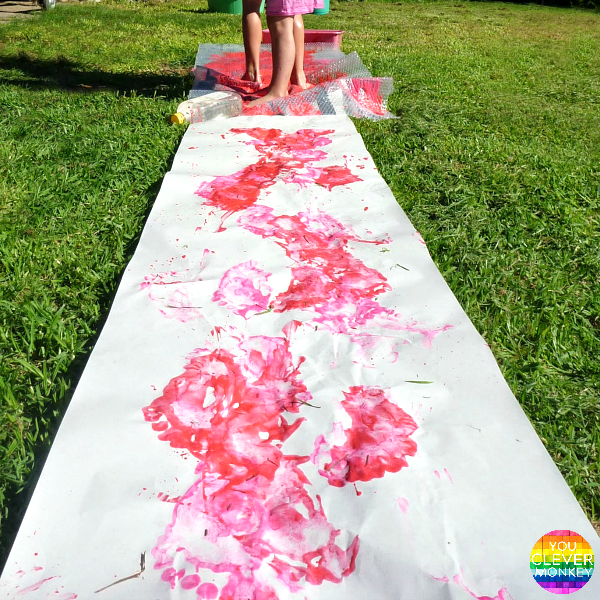 A bit of lawn is perfect for many BIG art activities like messy feet painting as you can just hose it off later or mow over it another day. 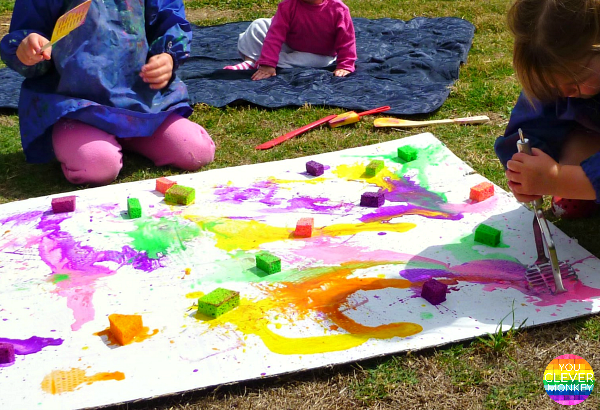 Anything really messy - like your child will almost be covered in as much paint messy, is best done outside. Make life easier by having a bucket of warm soapy water outside on standby along with a towel for easy cleaning at the end. 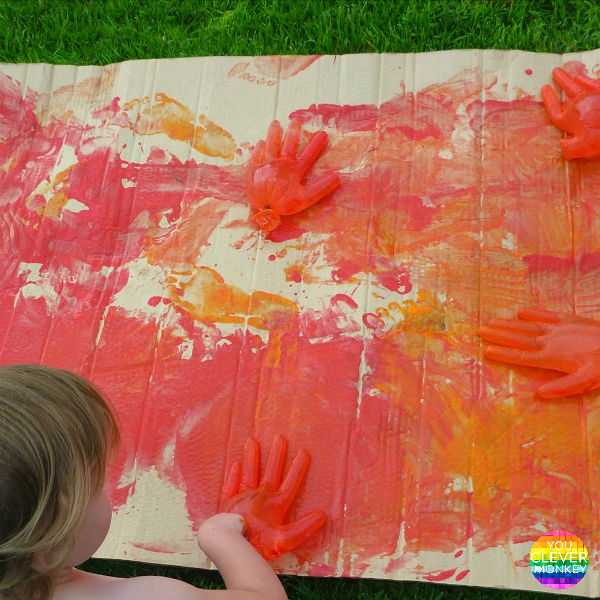 This squishy hand painting started out with the children just painting with the water filled gloves but ended up involving most other limbs by the end. 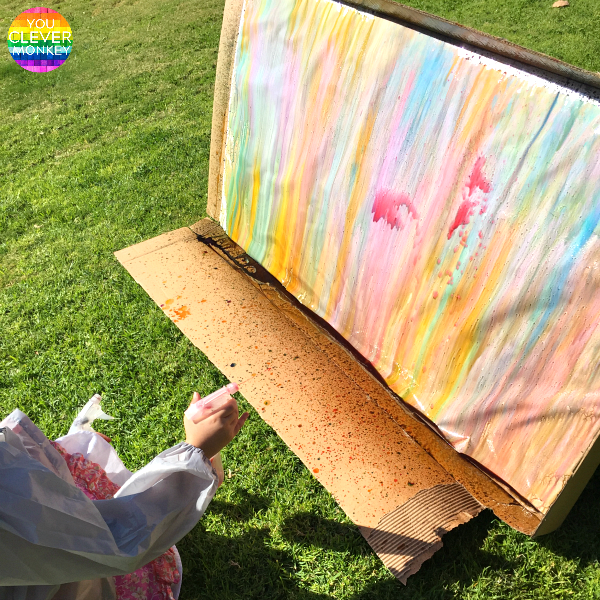 One afternoon we used our Fort Magic kit to set up a HUGE canvas out on the lawn for all three of my children to explore and paint on together. 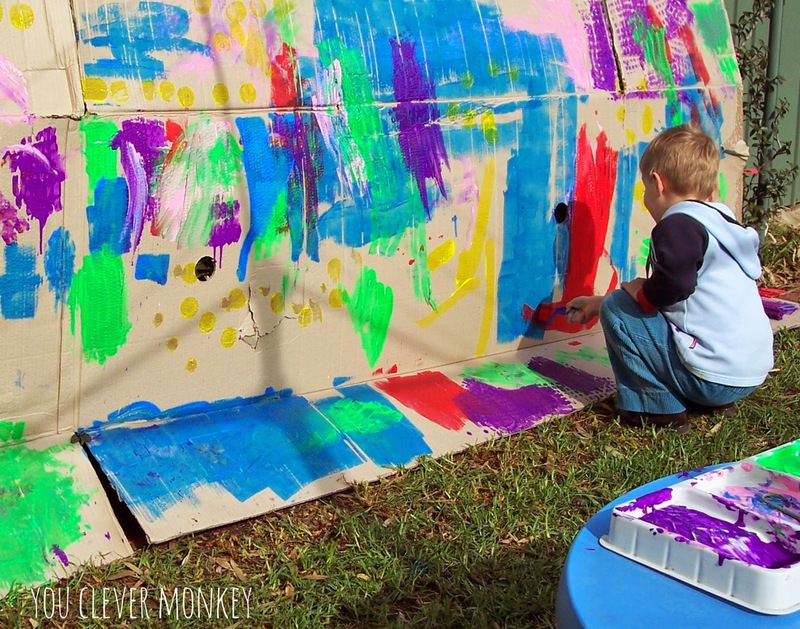 They had so much fun painting on the different panels. You can see how we set it up here. BIG art begs to be done collaboratively. 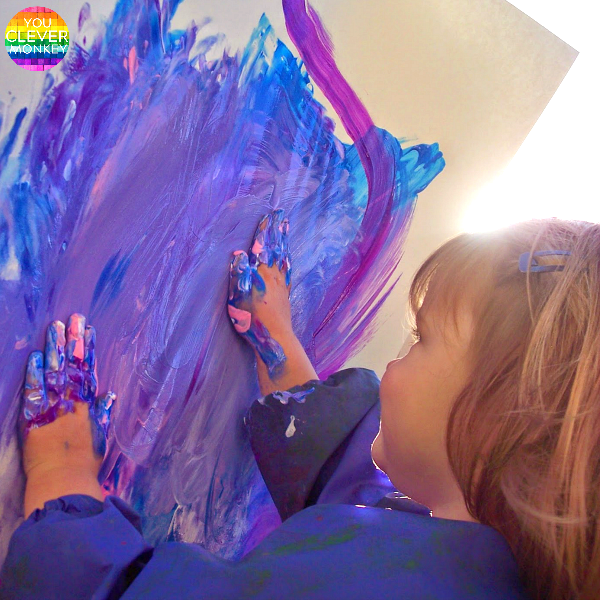 The larger the canvas you choose, the more children can be involved together. 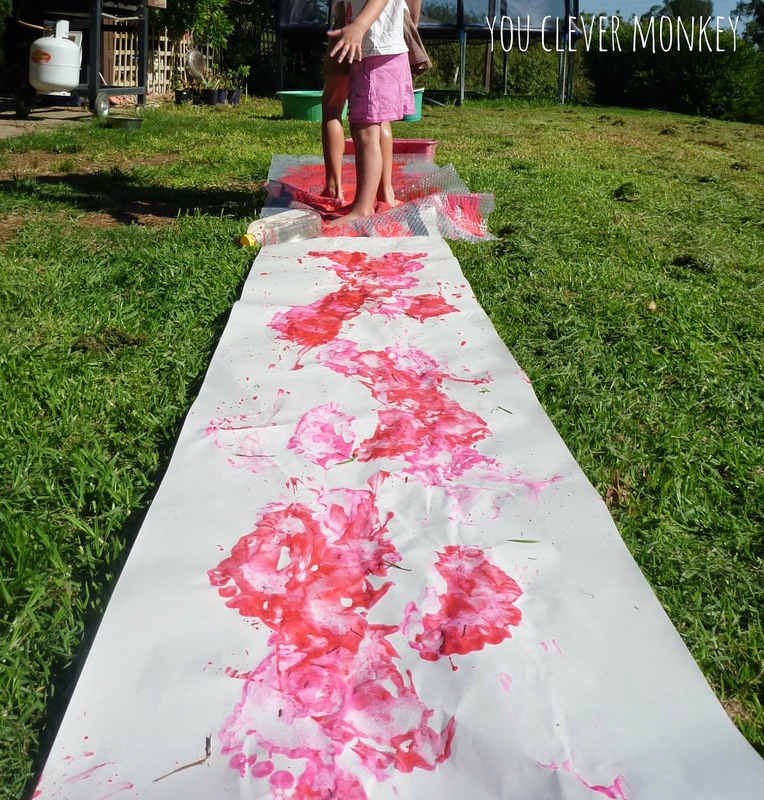 Drip art has always proved popular with my children and can easily be done on a larger scale. 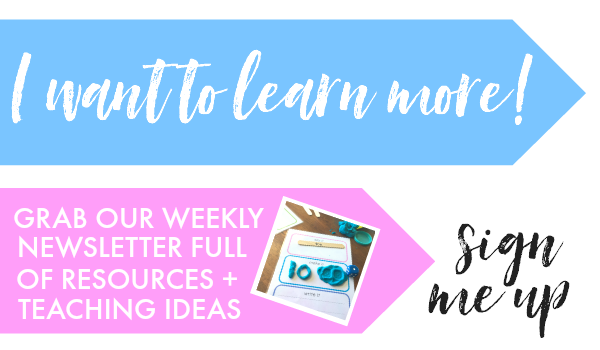 A great activity for improving fine motor strength too. You can use the same technique to create some rainy day pictures using some coloured PVA glue to drip paint with. Once dry, the glue hardens leaving raised 3D rain drops on the pictures for small hands to explore. 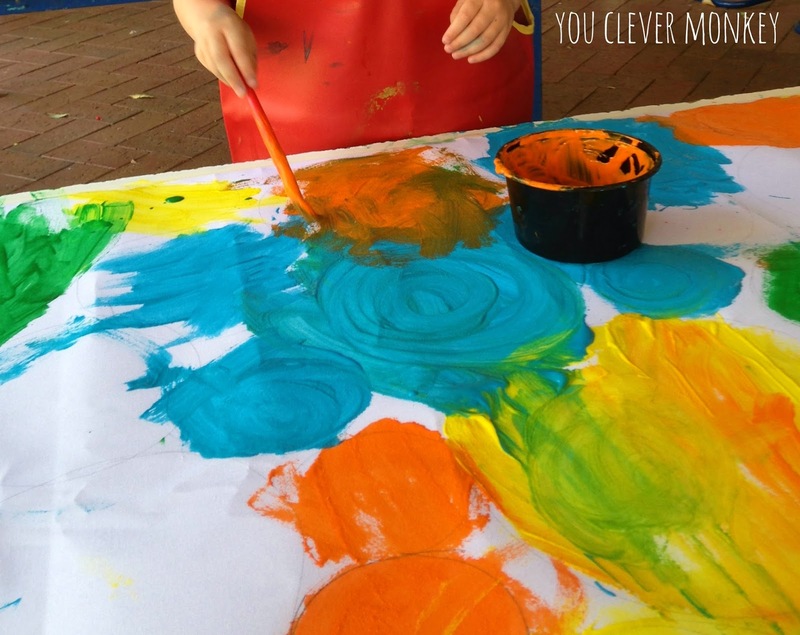 Painting circles also worked well as a collaborative project at preschool. 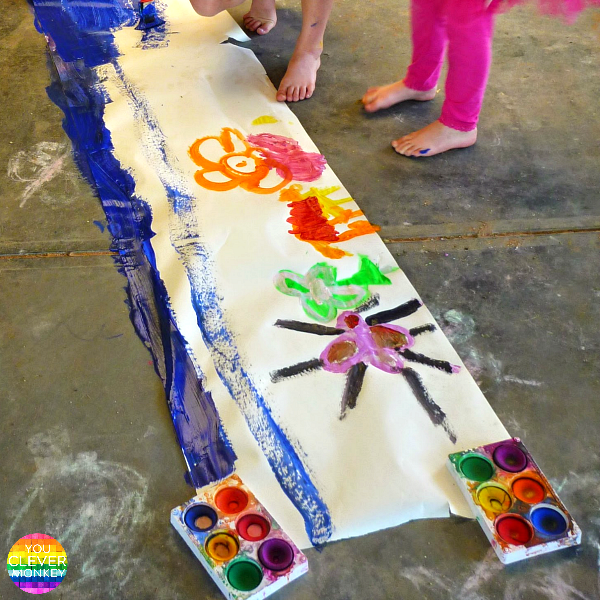 A length of fabric was used to cover a tabletop for children to paint on but you could just as easily use foil, paper or a large mirror. Shapes provide a useful framework for BIG art. 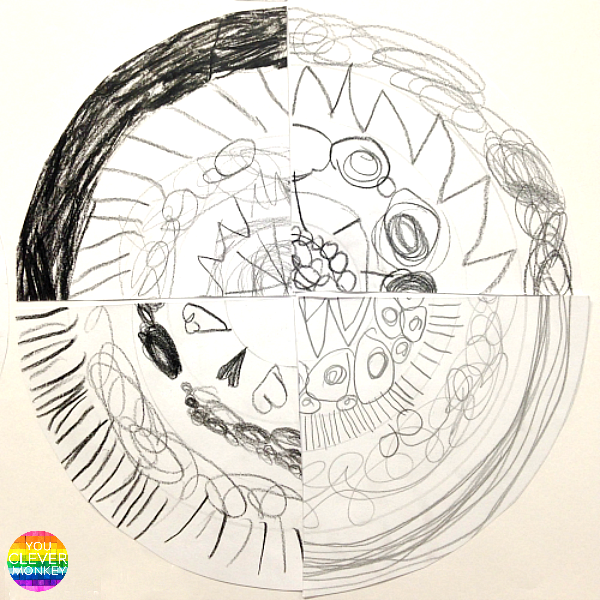 Why not try some different collaborative art based on shapes like this circle line art created by Reception/Year 1 students? Each child made a large circle which was then cut into quarters or halves before being mixed up and then put back together. 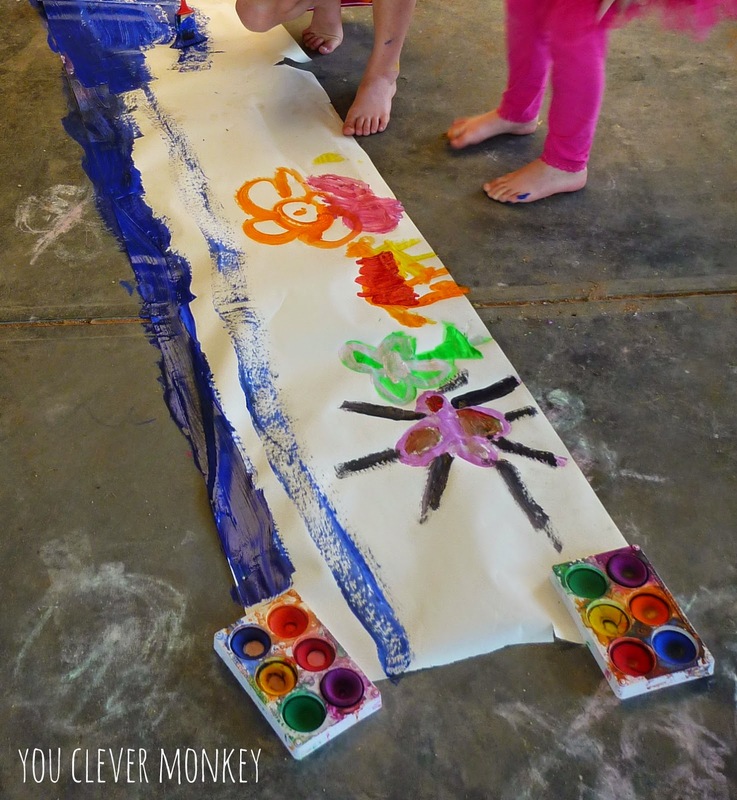 Try some giant roller painting like Getting Messy with Ms Jessi. Or some big foil painting from NurtureStore? 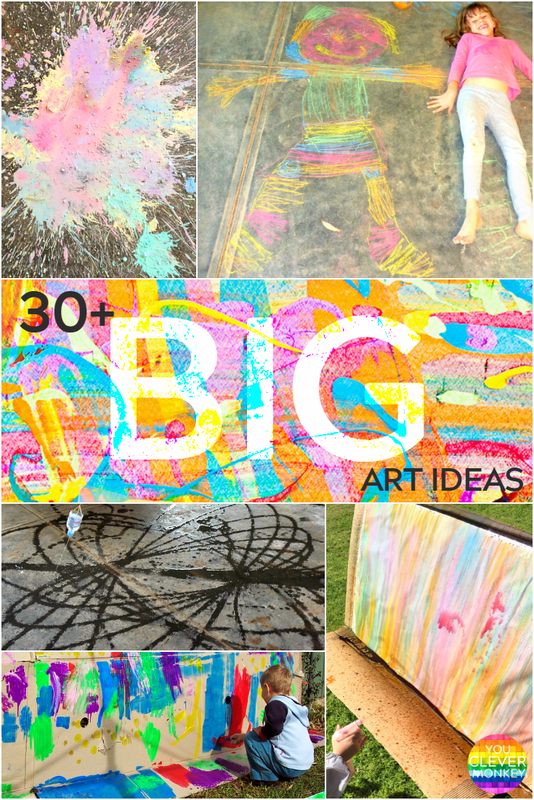 Fly swatters can be used to create BIG art like the Playground Parkbench shows us. 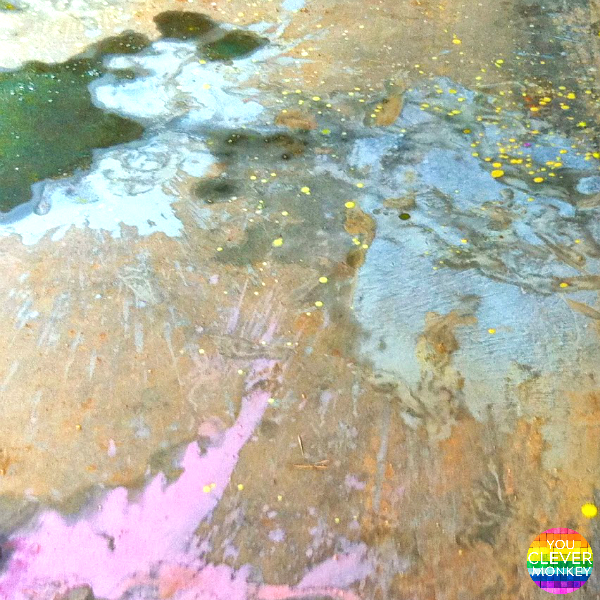 Try a different medium like Two-daloo did with this rainbow painting. 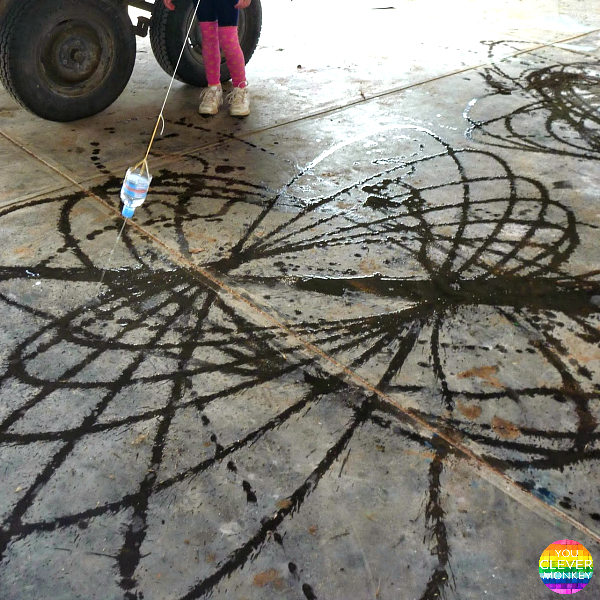 Or combine art with early science to erupt some rainbow art like 123 Homeschool 4 Me. 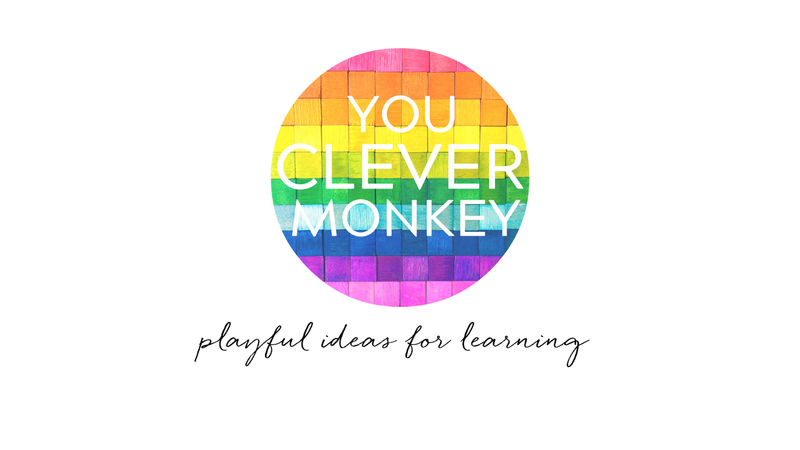 Make it super sensory like An Everyday Story or grab some slinky's like Fantastic Fun and Learning. Monopolize a slide to do some drawing like Tinkerlab. 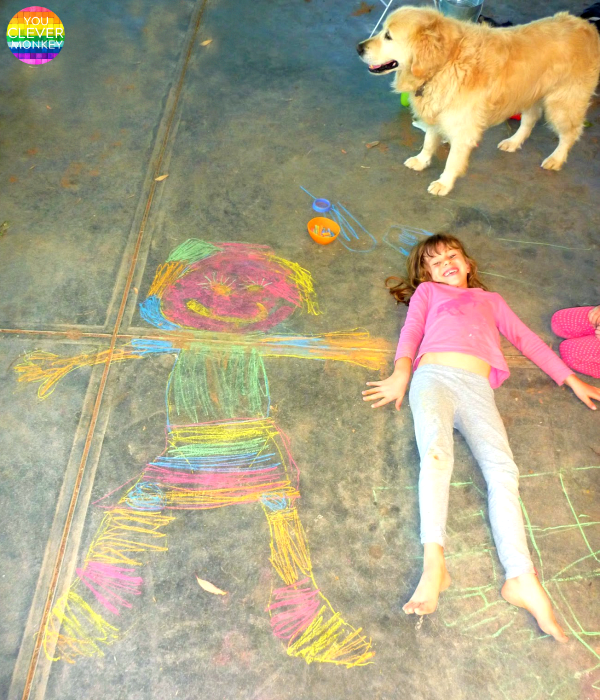 Or trace some chalk lines like Hands on as we grow. 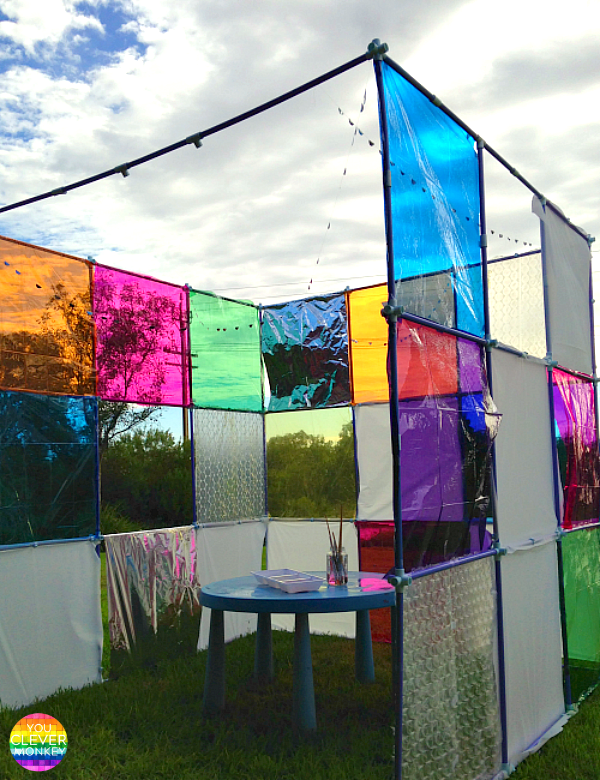 Meri Cherry shows us how to make BIG temporary mosaic art outside. Have you tried any others? What's been your favourite BIG art project so far? 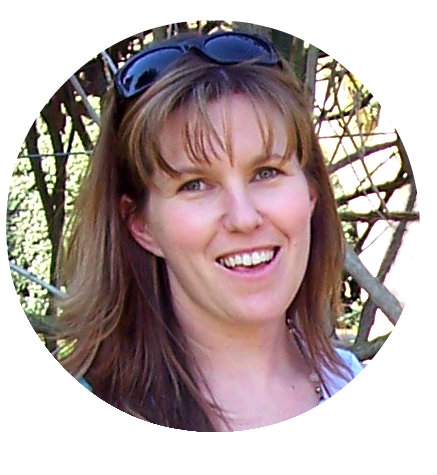 Leave a comment - I love reading them.